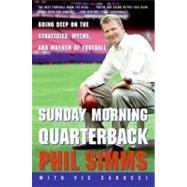 Football Books - Books on Sports - Sport Books: Catalog of books about your favorite sports. 2019 Football books on sale now. Buy your 2019 Football books with us today. We have many Football books to choose from and each purchase comes with the ease and convenience of Sportspool's online experience. We hope you find the Football book that is perfect for you! "BEHIND THE SCENES AT THE WORLD'S GREATEST ONE-DAY SPORTING EVENT One of the Super Bowl's founding fathers reveals 36 years of game-day history Here is the untold saga of the creation and growth of sports' premier event, the Super Bowl. What started out very humbly in the autumn of 1966 as a hastily organized football game between the respective champions of the two leagues--NFL's Green Bay Packers and AFL's Kansas City Chiefs-- the following January has now, 36 years later, turned into one of the biggest sports/media/entertainment/marketing extravaganzas of the year, with more than 800 million fans tuning in worldwide. A riveting and richly entertaining behind-the-scenes look at the game, 'The Making of the Super Bowl offers priceless insights for anyone connected with sports. 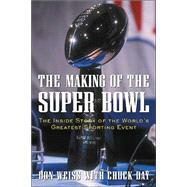 It has been chronicled by Don Weiss, the former NFL executive director who still directs Super Bowl game-day operations. In his NFL career, Weiss also shaped unique perspectives; now they can take their place within football and sports history, where they belong. In 'Making the Su"
"The NFL veteran and TV sports analyst draws on his own fifteen years in professional football to provide an insider's study of the game's strategies, myths, mind games, trends, and techniques. Reprint. 25,000 first printing." 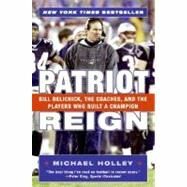 "A profile of Bill Belichick, head coach of the New England Patriots, provides an inside look at the philosophy, work ethic, leadership qualities, and principles of the man who has guided his team to two Super Bowl victories in the past three years, analyzing what makes Belichick an exceptional coach in the cutthroat world of professional football. Reprint. 50,000 first printing." 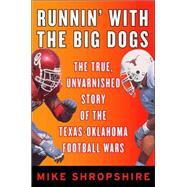 "Traces the historical rivalry between the University of Texas Longhorns and the Oklahoma Sooners, discussing their annual competition at the State Fair of Texas in Dallas and how it has been conducted by top players, coaches, fans, and others for more than forty years. 50,000 first printing." "Vince Lombardi's views on life and leadership--inspiring and motivational--placed in A-Z format for the first time Legendary football coach Vince Lombardi left the national spotlight more than three decades ago, but his fiery words continue to resonate in today's hard-charging business arena. 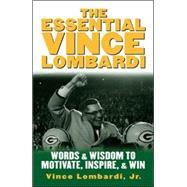 'The Essential Vince Lombardi compiles Lombardi's most memorable quotes and phrases, alphabetically by topic, for use in speeches, memos, and documents--or just for fingertip inspiration and insight. More than just a simple quote book, however,' The Essential Vince Lombardi contains interviews from family members and associates, rare photographs, 'Lombardi Lessons' for applying Lombardi's wisdom to everyday situations, and more. It places the leadership wisdom of Vince Lombardi in the context of today and is a valuable reference for businesspeople and Lombardi aficionados alike."